Lichen: Real and Imagined | Lichens are amazing organisms. They are all around us and we hardly notice them. Found on soil, tree bark, rocks and even some under water, they are actually two organisms living together (symbiosis). These complex organisms can inhabit many conditions and substrates that would deter other kinds of species. I am fascinated with their resilience and beauty. Many of these paintings are done on sliced wood substrates, the closest thing to their original habitat. 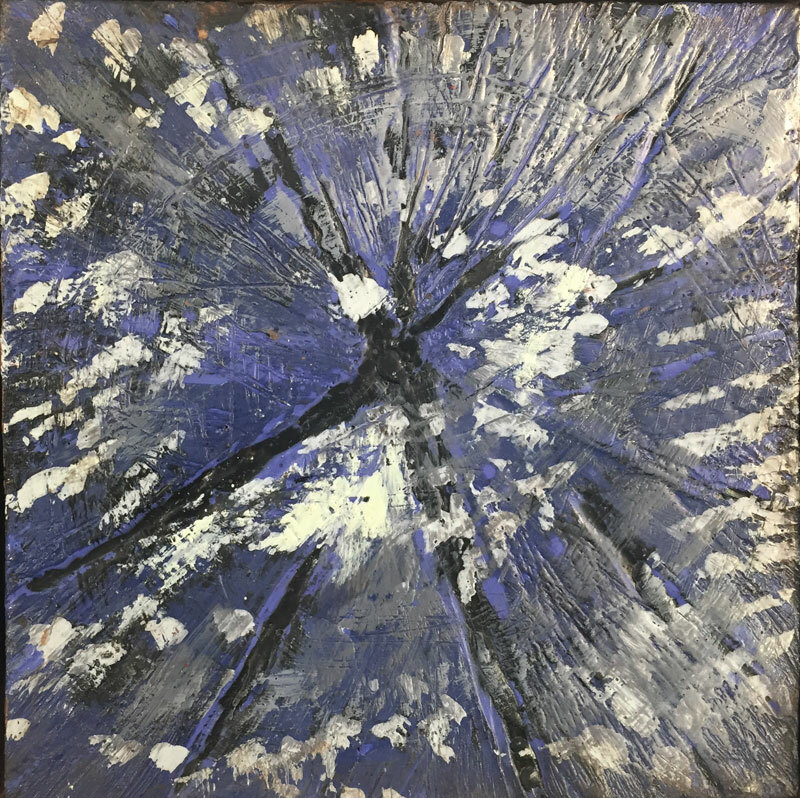 Cracked Tree Stump, encaustic on panel, 6" x 6"